The new programme is tailored to meet the requirements of the regional business environment and it also cuts across all fields of study as it is developed to prepare students to succeed at managerial and professional positions in the global economy. Unlike the MBA programmes, the MIB postgraduate programme does not require students to have work experience prior to enrollment into the programme. “The MIB is valuable for those wishing to move into a company that is involved in international business, trade or supply chain. The MBA on the other hand is designed for those who are qualified in a specialised field and who wish to develop their business acumen and business skills. 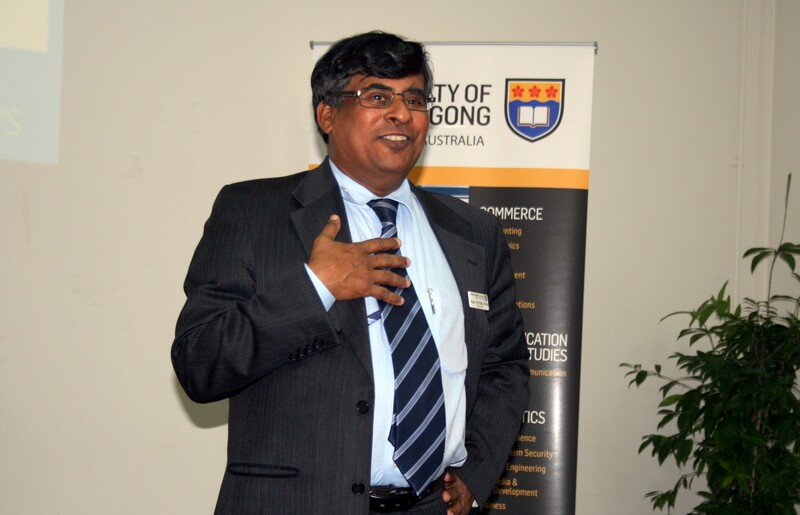 It is important to note that the MBA degree is a generalist degree focused on the strategic directions of the business whereas the MIB degree specializes in international business operations,” said Dr Nelson Perera, Deputy Dean of the Sydney School of Business, UOW. UOW, ranked top 10 in Australia and top 2% in the world by the Times Higher Education World University Ranking (2011 – 2012), was the first university in Australia to develop and introduce the Master of International Business programme. Riding on the wave of success this programme has in Australia, INTI will be the first institution in Malaysia to introduce UOW’s Master of International Business in the region. The programme is available in both full-time and part-time study formats that include a mix of intensive and regular delivery models similar to the programme offered to students studying at UOW, Australia. Students who enroll in the MIB programme at IICS will graduate with a UOW Masters degree. “International business, international trade, imports, exports and supply chain form an important part of any business environment. The effects of globalisation on companies completely changed the way companies operate in an international arena. Therefore many businesses need people who understand the dynamic nature of the international business environment and operations. Malaysia being an export driven economy will also find that these areas of international business are important aspects for the businesses in this country,” said Dr Perera. Internationalism is an important pillar that holds up institutions of the Laureate International Universities network and the opportunity for members such as INTI to gain access to knowledge, thought processes, best practices, academic talent and resources across the distances makes this ‘Laureate advantage’ a unique one. Through Laureate’s support, INTI is able to provide its students with front-row seats to cutting edge global events such as the World Business Forum and Clinton Global Initiative, where they can learn from top global leaders discussing issues affecting the world today. They also have access to international faculty, overseas guest lecturers and study tours to INTI’s partner universities in other countries. This provides students access to an international learning experience beyond Malaysia as part of their studies and as part of their world class education at local prices. Students of INTI benefit not only from the institution’s over 25 years of experience and strong track-record, but also gain from the global synergy and resources that Laureate International Universities provides. INTI is part of Laureate, the world’s largest private education network with a presence in 29 countries, with more than 60 accredited universities and 130 campuses, serving more than 740,000 students globally. IICS will be holding its Open Day on December 15 – 16, 2012 (from 10:00 a.m. to 5:00 p.m.). For further information on INTI’s new Master of International Business programme, which will be offered in January 2013, please call 03-5623 2800.